Database backup is a detrimental facet of database management. You have more to gain than lose by devoting some time and resources in setting up a system that will help you with effective data backup. There is much software in the market such as MySQL backup binary logs that are meant to make the procedures simple. Backing up your data will help you get access to your data with no restrictions on your location, you will protect your business from the adverse consequences of losing data, and you will safeguard yourself from monetary loss and also, give you peace of mind. Those are just a few of the benefits you will reap by having a data backup plan in place. It is also essential to note that there are different methods of data backup. The choice depends on personal and business needs. 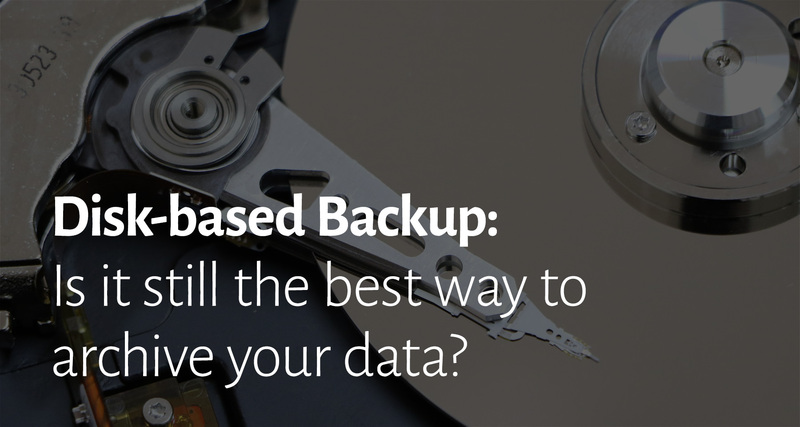 Regardless of whether you decide to stick with remote data backup or disk-based backup, there will be two sides of the coin. In simple terms, disk-based backup is a method of data backup that backs up data to hard drive storage. It is one of the traditional methods of backing up data: that preceded the tape. If you compare a disk and other forms of data backup like the tape, it is way faster. Note that it is regardless of whether it is being used as a virtual tape library, whose outlay is a bit extra. The speed, however, can vary depending on a number of factors such as the nature of data being backed up and the type of network configuration the hardware or software has. The non-sequential nature of the disk also makes data recovery easy. That said, you can consider picking disk-based backup if you are looking for a method that will not eat too much into your time. What makes the disk reliable? Disks are less susceptible to human error. Disks rely on only the quality and speed of a connection. One does not have to continually keep changing it as with the case of tapes whereby they are swapped now and then. It also shows that the disk does not count on any external factors to get the work done, which safeguards it against possible interference. Ever heard of redundant array of independent disk (RAID)? Well, this is a way of having the same data stored in various places of several disks to protect it from loss in the event of a failure of the drive. You need a type of backup that guarantees the safety of your data. Do you want a backup that does not put you at your wits end? Disk-based backup is what you should look for. You do not have to be so manual about it. You can get everything started and leave without having to devote further attention. As earlier mentioned, the nature of the disk is nonlinear. What does that mean? It means that other functions can run at the same time saving and restoring data. Combined with the speed, it will be so easy for you to execute various operations. The primary downside of disk-based backup is that it is costly as compared to the other types of backup. Note that the price of hard drives depends on the capacity of the drive. So what happens if you have large amounts of data to store? It might cost you a fortune. Also, remember that you have to include the cost of maintenance and other expenses. The cost of running disk-based backup could be relatively higher than that of remote backup. Disk-based backup can be quite inconveniencing especially if you are in need of remote access to data. As aforementioned, tapes are removable so they wouldn’t cause you many problems on this. Also, doing a remote backup through a network enables you to access data regardless of your location. Most of the hard drives are fixed in the CPU of a computer system. It means that you cannot be able to move around with it or remove it and have it stored off-site. Which also makes it vulnerable to potential risk. Important features to look for when leasing an office photocopier.